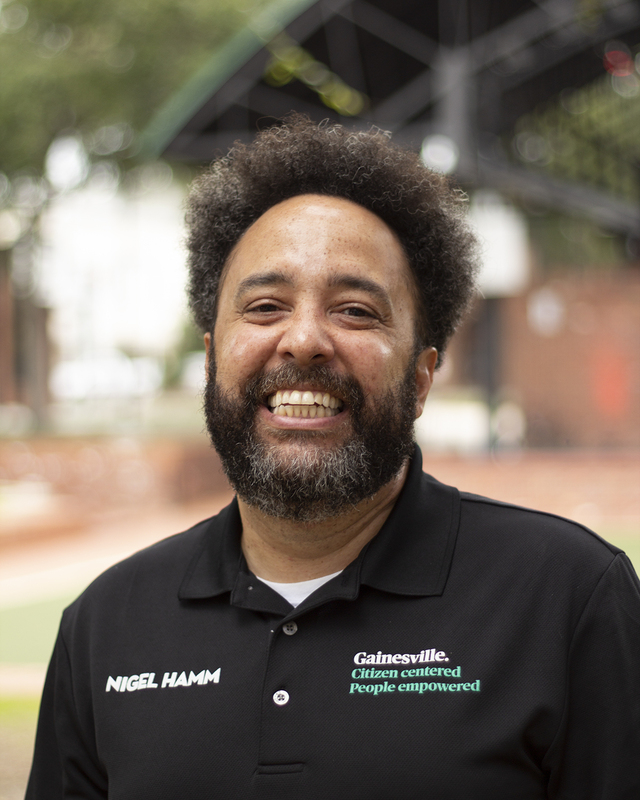 Nigel Hamm grew up in Hollywood, Florida and graduated from St. Thomas Aquinas High School in 1994. He has lived in Gainesville for the past 21 years… 15 spent as owner of the music venue Common Grounds. In 2012, Nigel decided to pursue his passion for food and cooking and opened the food truck Go Go Stuff Yourself. He joined the CRA in 2015 as the event and program coordinator, focusing primarily on Depot Park and Bo Diddley Plaza. He has a passion for music, food, and Gainesville.